NEW WESTMINSTER – A pair of conference title defences open this weekend, as the University of Saskatchewan Huskies men’s hockey team and the UBC Thunderbirds women’s squad begin the 2016-17 Canada West hockey seasons with repeats on their minds. For the first time since the fall of 1999, the Huskies head into the Canada West men’s hockey season in search of back-to-back conference crowns. Coming off their first Canada West title since 2012, the Huskies welcome the UBC Thunderbirds to Rutherford Rink this weekend, as the 2016-17 men’s conference season hits the ice with a lone conference series on the schedule. 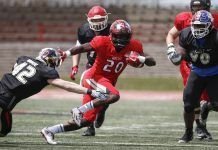 The Huskies are the presumptive favourites to repeat as Canada West champions this season, after the annual coaches pre-season poll tabbed Saskatchewan the conference frontrunners, with the Huskies garnering seven of a possible seven first-place votes. On the women’s side, a full slate of games opens the new season, including UBC welcoming Saskatchewan to Vancouver. UBC’s win over the Manitoba Bisons in last year’s conference final propelled the T-Birds to the national tournament, where UBC came up just a win short of the program’s first CIS title. With eight fifth-year players on their roster, including defensive stalwart Kelly Murray, the Thunderbirds are expected to fly high again this year under the guidance of bench boss Graham Thomas. UBC earned five of a possible seven first-place votes in the annual coaches pre-season poll to earn favourite status. For a complete look at the men’s conference season preview, click here, and for the women’s, here. 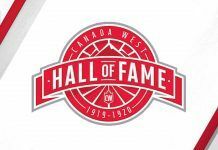 Once again this season, viewers will be able to watch every men’s and women’s hockey regular season and playoff game on Canadawest.tv with a conference hockey pass for only $30 CAD.